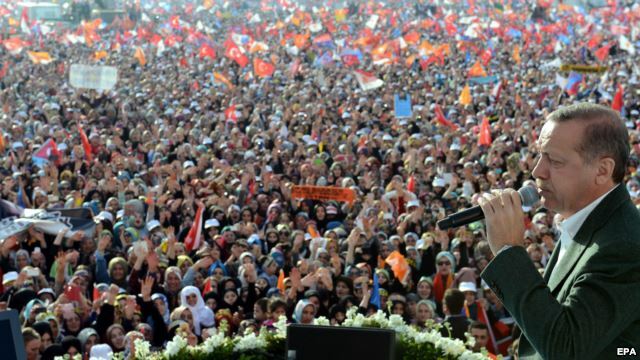 PM Erdogan slams resigning AKP deputies in support rally. Turkey removes 350 more police from posts after graft probe. U.S. based Turkish scholar Gulen says he is used as a scapegoat in graft scandal. Two million marched, 417 arrested during Berkin Elvan protests over two days. This entry was posted in Turkey and tagged AKP, CHP, Erdogan, Gulen, Turkey. Bookmark the permalink.